Being the most dependable appliance repair company in Edison, New Jersey, we serve our customers with the utmost respect and care. We realize that most homeowners take the seamless operation of their household appliances for granted.No doubt, they make your life easier. But at the same time, the necessity of a home appliances repair service increases tenfold. But there is no reason to worry as our company is here to help you whenever you need it most. Just give us a ring and we will dispatch a local expert to assess your problem at short notice! At Appliance Repair Edison,we work hard to prevent your daily chores from being interrupted. If you have faced an appliance failure before, you know how it can ruin your plans in an instant. Whether your stove won’t turn on or your fridge starts acting up,don’t fall into despair. Call us instead. Wherever you are in the area, our appliance repair company can deliver quick help. We will send out an expert technician to your place to refurbish your faulty unit to your full satisfaction. Like other appliance repair companies, we recommend regular maintenance. This service is tailored to keep your equipment in top shape. While working at your home, a qualified tech will fix tiny issues as well as replace worn parts if needed.As some small problems can be a symptom of a serious failure, such on-time inspections can prevent a major breakdown from happening.Thus, you won’t get caught off guard in the most inappropriate time. For your peace of mind, you should keep the number of our Edison appliance service company handy. 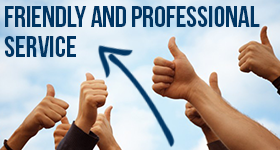 We are a trustworthy service provider that can help you solve any problem you might be having. 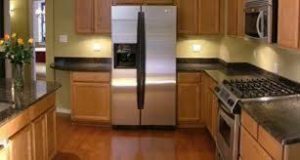 So whether you are on the market for a new freezer or stove,or need to get the current unit fixed, our Edison appliance repair company has got you covered!